Are you using technology to drive people and business forward? It’s time to showcase your wins. 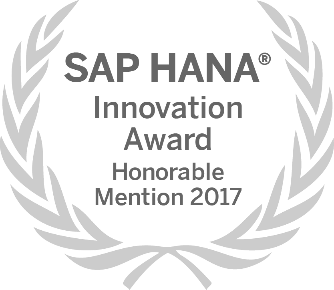 SAP customers and partners around the globe creating game-changing innovations, making a powerful impact in the lives of others, or revolutionizing current business models, processes and operations are participating in the HANA Innovation Awards. When technology solves important problems, everyone benefits. Innovation technology should be shared. You too can benefit by sharing your #InnovationStory. Now there are even more chances to win with the 2017 Special Awards Series for HANA Innovation Award participants. Have you told us your story yet? Business Value: How your use of SAP technologies is providing significant business value, including new revenue streams or a distinct competitive advantage. Entries that include quantified benefits (KPIs) are likely to be most compelling here in this area. Industry Disruption: How your use case represents a disruption in the way your industry has traditionally conducted business. For example; establishing new business models, redefining a critical business process, or enabling strategies that break through existing boundaries. Entry Fit: How your use case demonstrates creativity and business innovation through technology, to drive significant value and disrupt your industry. Human Impact: How your solution is changing people’s lives, either personally or professionally. Business or Social Value: How your use of SAP Technologies is providing significant business value. Business or Social Value: How your use of SAP Technologies is providing significant business or social value. Entry Fit: How your use case demonstrates creativity and business innovation through technology to maximize impact. As a special award winner you’ll benefit from recognition for your company and team and exposure in select external communications and thought leadership channels. Additionally, you’ll get exclusive opportunities to showcase your success with senior SAP executives at #SAPPHIRENOW in Orlando and beyond. Prepare your pitch deck and submit your entry form before March 17th, 2017. This blog will give you more details on how to get your story heard. Operating out of 9 countries, this organization’s mission is to provide a preferential option for the poor in healthcare. Working with sister organizations based in settings of poverty, PIH strives to bring the benefits of modern medical science to those most in need and to serve as an antidote to despair. 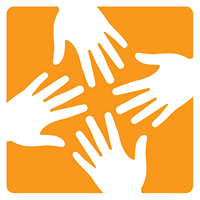 Its mission is both medical and moral, based on solidarity rather than charity alone. When patients are ill and have no access to care, its team of health professionals, scholars, and activists will do whatever it takes to make them well—caring for others as they would for themselves or their families. More information. social and economic development of low-income communities, using entrepreneurship as a strategy for greater social inclusion. 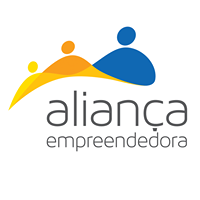 Alianca Empreendedora (AE) is working in partnership with public and private organizations and focusing on the development of inclusive business models for low-income markets, promoting community entrepreneurship, and initiatives that generate employment and income. AE pioneered a system which builds a 360° support network for small entrepreneurs, strengthenin­g local social capital and providing entrepreneurs with access to knowledge, credit and commercialization; all universal areas of struggle for low-income entrepreneurs. AE has managed to link small entrepreneurs with large groups the likes of Walmart, Santander, Danone, HP, Gerdau, Natura, and many more. Through these linkages, these groups have been able to create opportunities for small entrepreneurs to start and grow their businesses, securing not only better income opportunities, but also increasing their self-esteem and confidence. More information. Based out of South Africa, TSiBA is a nonprofit tertiary education institute that provides higher education access to young people from underserved communities. This unique private business school’s mission is to be an innovative learning community that graduates entrepreneurial leaders who ignite opportunity and social change. TSiBA helps emerging leaders who cannot access opportunities to jump ahead in life by providing an opportunity to study high quality, accredited academic courses that are focused on developing entrepreneurship and leadership. People with a social conscience who have the desire and the skills to build their nation are provided excellent business education and are not required to pay back their scholarships but instead they are required to pay it forward. 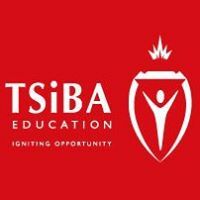 TSiBA is registered and accredited with the Department of Education as a private higher education institution and also registered as a Public Benefit Organization. More information. Time is Running Out, Enter Now! For more information on the HANA Innovation Awards timeline and list of prizes, read this blog. You can find details on judging criteria here and be sure to read our 3 tips for a compliant entry.